Amy Hamilton, of Hillsboro, recently graduated from Ohio Farm Bureau’s AgriPOWER Class X. The elite leadership program was started in 2008 to help agricultural advocates gain influence over public policy issues that impact their businesses and communities. Hamilton is a commercial ag loan officer for First State Bank and has a small cow-calf beef and hay operation. 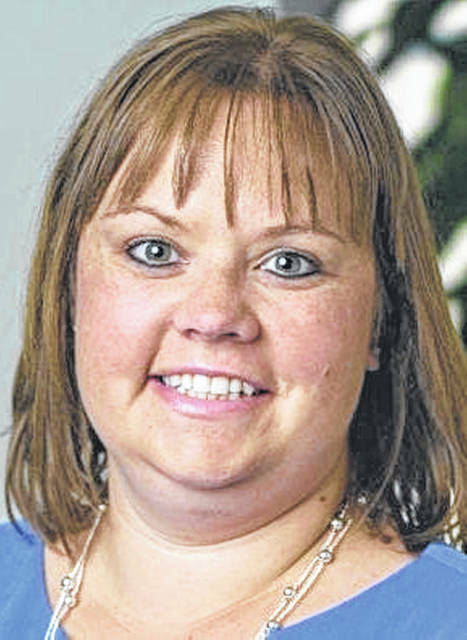 She’s a trustee and secretary of the Highland County Farm Bureau and serves on the Highland County Chamber of Commerce Board of Directors, Hillsboro Rotary Club and City of Hillsboro Revolving Loan Fund Committee. Applications are now being accepted for AgriPOWER Class XI. The deadline to apply is April 19. To apply and learn more about AgriPOWER, visit ofbf.org/agripower. Submitted by Amanda Bush, Ohio Farm Bureau.